Persona 5 has been getting plenty of hype lately. Leading up to it's Japanese release yesterday, there were plenty of preview videos appearing online and it couldn't look more stylish and fun. What hasn't been touched upon much is the story of Persona 5, most likely to avoid spoilers since story is typically one of the best parts of a Persona game. But for those like me who don't mind a little extra context before playing a game, a special episode of Persona 5 the Animation was released last week which gives the first extended insight into Persona 5’s story. It's a fun episode that shows off Persona 5’s characters and story premise all while maintaining enough mystery to carry the hype train forward and to satisfy those who wanted a little taste of what's to come in Persona 5. Warning: Mild spoilers for the episode follow in this article. I've included as little as possible, but I'd still advise proceeding with caution! Also, despite Persona 5 being out in Japan, this article was written before I played it so it has no influence from it. Enjoy! 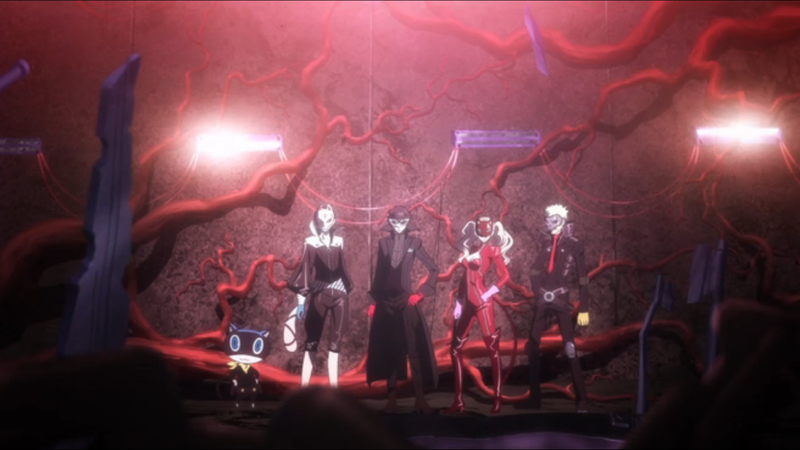 Before the anime, it had been revealed that Persona 5’s group of main characters would be part of a group called the Phantom Thieves of Hearts - criminals seemingly fighting for good, but with questionable intentions. With a description like that, I wondered if we could expect to be playing as the good guy or the bad guy in Persona 5, which would be a big jump from the other Persona games. But the Persona 5 the Day Breakers special shows the Phantom Thieves of Hearts targeting a person who is clearly a bad person. The target is abusive to his brother and slyly uses his lock-picking job to break into places for his own personal gain, something a good person wouldn't do. This really paints a much clearer picture of which side the Phantom Thieves of Hearts are on and I think they're definitely fighting for good after watching the special. And since they’re most likely fighting for good, the practically trademarked stylish action scenes that Persona does so well between the Phantom Thieves of Hearts and their target is complete with heroic speeches about justice, made in a way that each character was able to shine. Complete with cool costumes, the Phantom Thieves of Hearts come off as an incredibly likable mix of teenagers complete with strong personalities and the right amount of attitude. It was particularly nice to see more of Yusuke, considering the protagonist, Anne and Ryuji have been around since the first trailer, but Yusuke has only been revealed in small doses. He comes across as smart and reliable and fits in well with the rest of the team. So far The Phantom Thieves of Hearts are an interesting group and I definitely feel good about being on their team in Persona 5. 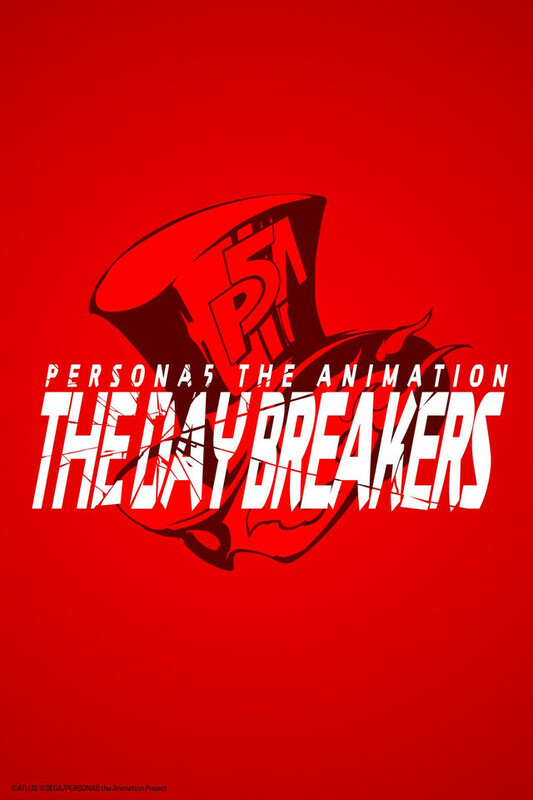 While it was great to see the likely heroes of Persona 5 in the Daybreakers, the episode’s following of a thief gang is potentially a good insight into the type of enemies and stories that will appear in Persona 5. The gang followed in the Daybreakers were a greedy, self-righteous group trying to get as much money and loot as possible through all the wrong methods and with no remorse for their actions. This makes me wonder if this is the kind of morally questionable foe we can expect to face in Persona 5. 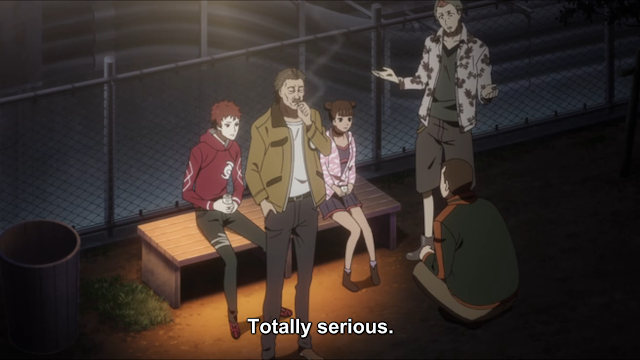 Interestingly, I noticed the group seemed to have no tie to the supernatural world, making me also wonder if the enemies will be everyday criminals or if it will be revealed later that the criminals are tied to shadows and the supernatural beings usually featured in Persona games. But ultimately, it was very easy to see who was good and bad in the Day Breakers special, so I wonder if this transparency about the enemy will be evident in Persona 5. The most recent character announcement for Persona 5 was Goro Akechi, a high school detective connected to the Phantom Thieves of Hearts. The character was notably announced separately from the main cast of characters and not featured in the official trailer of the game. The anime continues this theme, making him feel even more separate to the group, yet he is said to join the Phantom Thieves of Hearts eventually but last. He appears in the Day Breakers special to be working alone and be rather against the changing of hearts done by the Phantom Thieves of Hearts, which makes me wonder if he is truly friend or foe initially. 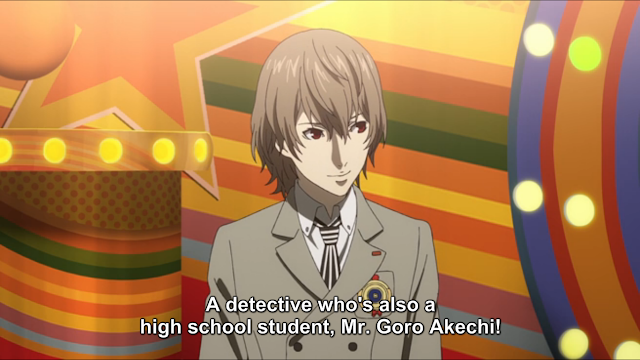 I’m sure I wasn't the only person who immediately thought of Naoto Shirogane from Persona 4 who was also a high school detective and took some time to join the Investigation Team, so wonder if he will mirror this in Persona 5. The end of the Day Breakers special confirmed the situation and context regarding the Velvet Room. Igor is evidently tougher sounding and the protagonist is a prisoner instead of being a guest like in the other Persona games. 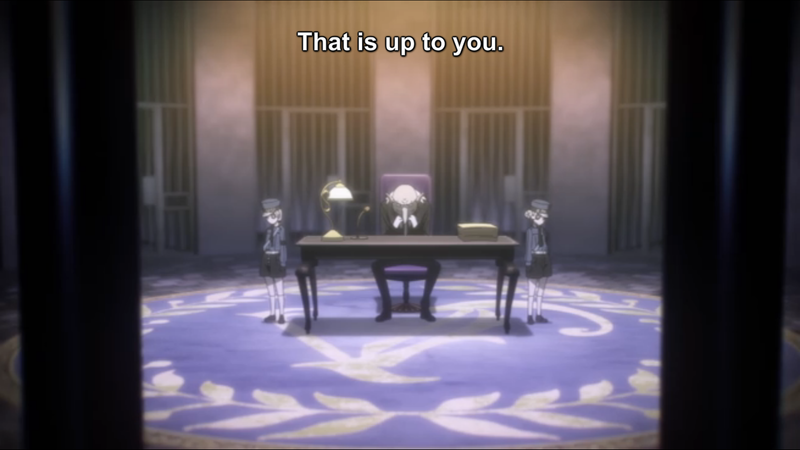 Igor’s words “The rest of the story is up to you” to the protagonist carries some interesting potential subtext; is he referring to the in game choices that will be made by the player in Persona 5 or was the protagonist doing this mission as prisoner on Igor's orders? This will probably become clearer in Persona 5, but the special confirmed that this is a different Velvet Room to what Persona fans may be used to. Persona 5 the Daybreakers may not be enough to tired most fans over until the localisation, but it is certainly a nice look into the world of Persona 5. After seeing the Phantom Thieves of Hearts in action, I’m finally completely excited to play as them in Persona 5 and knowing they’re probably fighting for good makes me like them even more as someone who enjoys taking down JRPG bad guys. The special left plenty to speculate about until the release and localisation of Persona 5, but one thing that’s for sure is the Persona 5 the Day Breakers had all the action, style and heart expected from a Persona game. All we need now is the game. Photos from Persona 5 the Animation were taken from the Standard Definition version on Crunchyroll, where you can watch the SD version for free (to watch it in HD requires a subscription). 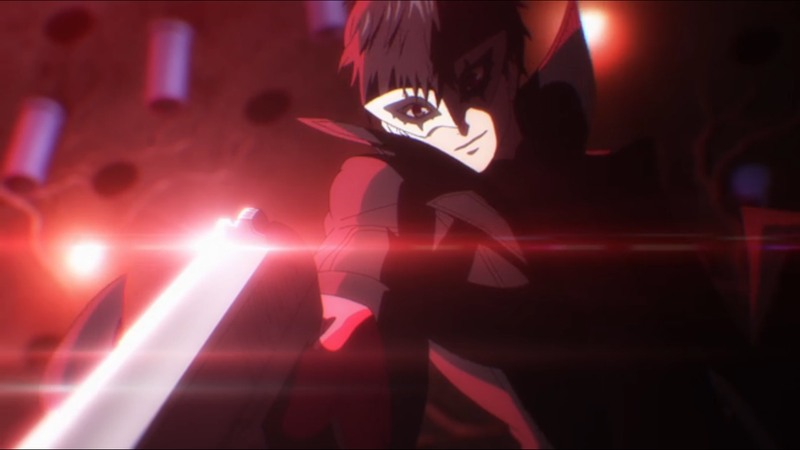 What do you think of the Persona 5 the Animation special? How much about Persona 5 do you want to know before its release? Leave a comment below, send me a tweet at @JRPGJungle, hit me up Facebook or Instagram and let's talk! Great blog post! I definitely appreciated how the big JRPG publishers have started giving us in early taste on upcoming JRPGs (have you seen the last episode of FFXV Brotherhood yet?). It capitalizes on a great opportunity to pull anime fans into the genre, and helps build context to the game in a medium that wouldn't necessarily integrate well with the actual game, but still enhances the overall game experience before its even out. We all know what happens when there are too many early cutscenes - the gamer fatigue you get with early FFXIII. I hope to see this in some of the other of JRPG series in the near future (maybe Star Ocean or Fire Emblem)! I was intrigued by the regular use of a firearm-exclusive physical attack - It reminds me of flagship SMT! I wonder if all units will wield guns, too? And do those masks give them special powers similarly to the Evokers of Persona 3? While the Daybreakerz's special did show the protagonist's first(?) 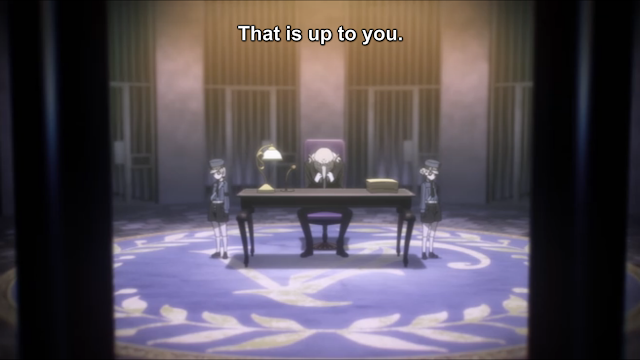 time entering the enigmatic Velvet Room and gaining the power of Persona, it didn't allude to persona fusion - something I am very curious about. The degree of detail to the playable characters' personas have long led me to suspect persona fusion has been tweaked a bit, but we'll see. Overall, I'm am waiting on pins-and-needles to February 14th! I'm really curious about fusion too and the Velvet Room in general. It gave off such a different vibe in the anime and in trailers, it's very intriguing. February 14th can't come fast enough!